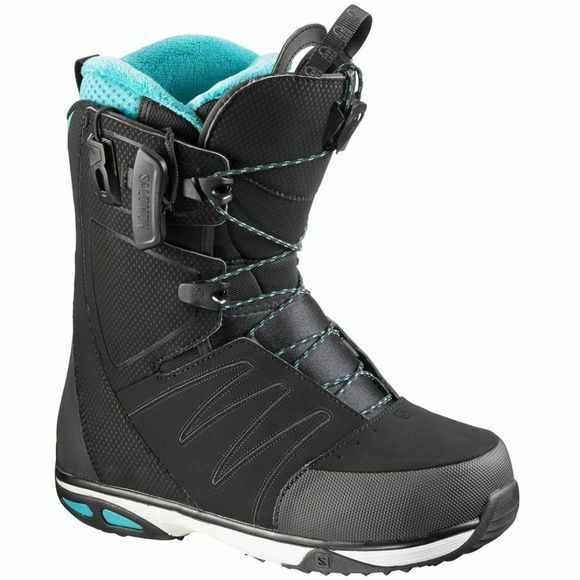 The Moxie snowboard boot is packed full of technology, and features PowerLock Pro Lacing coupled with the STR8JKT ankle harness that delivers support and maximum heel-hold. The women’s specific HALO Liner ensures warmth all over and Ortholite C3 insole with dual density memory foam plus an EVA heelcup for supreme comfort. The Moxie brings first class fit, cutting edge design, and lasting warmth to the hill, so you can get into the air and log those frequent flyer miles. FIT: Heel Grip – Specific Cat-Tongue material at the heel so your socks are perfectly gripped into the boots for increased heel-hold. Custom Fit Pro – For advanced comfort and max foothold, Custom Fit Pro has increased amounts of heat mouldable foam strategically placed in the sensitive areas of the foot, shin, ankle and heel. LINER: Halo 2 Liner – This liner is specifically designed for women from the sole up, with a better fit, softer touch and extra warmth that women demand. LACING SYSTEM: Powerlock Lacing System – A Salomon standard, redefined. The soul of Salomon's well-known lacing system has been given a new lease of life with the bombproof criss-cross locker on the tongue and anti-catch hooks on the upper. A truly powerful and easy system that can handle anything on the mountain. STR8JKT – Lock your feet down with supreme comfort. 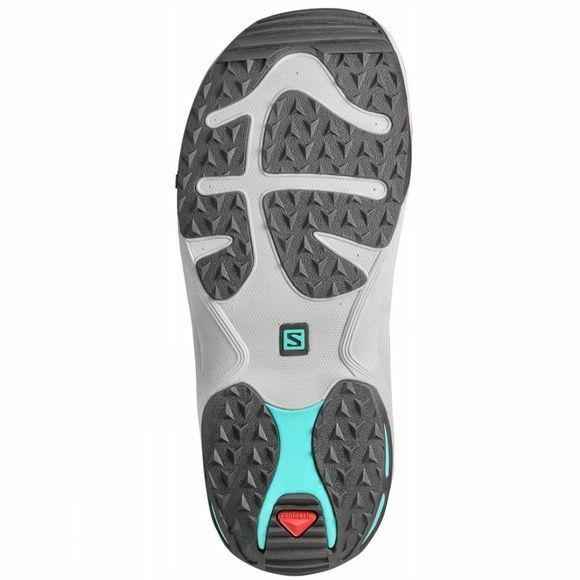 STR8JKT features an additional inner heel harness for a no-heel lift ride and optimal comfort. FOOTBED: Ortholite C3 Footbeds – Ortholite footbeds create a cooler, drier, healthier, and better cushioned environment for your foot. They do not break down over time and stay cushy and comfortable ride after ride. SOLE: Trinity Outsole – A unique version of the Lo-Fi, the Trinity Outsole has an articulated exterior shape for a seamless connection and extra emphasis on board feel and reaction. Other Features: Wash & Wear Technology – Glueless liner construction, so you can fight the foot funk by merely dropping your liners in the wash.